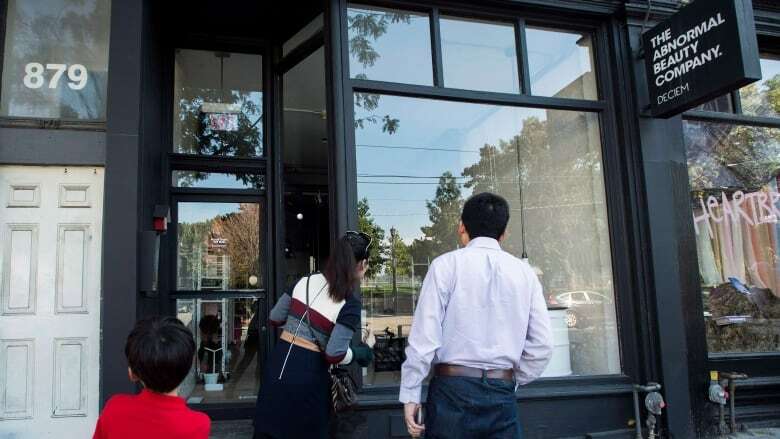 Deciem stores that had been shuttered for several days reopened on Saturday, after the founder of the so-called "Abnormal Beauty Company" was ousted by an Ontario court ruling. The stores were closed last week by decree of then-chief executive Brandon Truaxe, who announced on Instagram that all Deciem operations would be shutting down until further notice, alluding to allegations of criminal misconduct. Deciem stores that had been shuttered for several days reopened on Saturday, after the founder of the so-called "The Abnormal Beauty Company" was ousted by an Ontario court ruling. The stores were closed last week by decree of then-chief executive Brandon Truaxe, who announced on Instagram that all Deciem operations would be shutting down until further notice, alluding to allegations of criminal misconduct. On Friday, he was removed from his post on an interim basis as a result of a court application from Estée Lauder Companies Inc., which holds about a one-third stake in the business. And while an Estée Lauder spokesperson confirmed the stores had reopened, not everything about the brand had returned to normal. The company Instagram account, once home to hundreds of what Estée Lauder described as "outrageous, disturbing, defamatory, and/or offensive posts," was taken down on Friday and had yet to be restored by Saturday afternoon. Mark Gelowitz, a lawyer representing Estée Lauder, cited Truaxe's Instagram posts — along with his decision to close the business — as reasons for the court application, saying his behaviour led to numerous legal concerns from landlords, suppliers and employees. Business analyst Mark Satov likens Truaxe's departure with that of the controversial founder of American Apparel, Dov Charney. He told CBC News that it may be difficult for him to get a role back at Deciem or possibly even another company. "My guess is that this guy's brand [has been] tarnished beyond repair for at least a while," he said of Truaxe. "I guess they're making the bet that they got rid of the person who is impacting [Deciem] in a negative way, and they'll see if the brand could stand." Representatives from Deciem did not immediately respond to requests for comment.